Over these last two years we have traveled a TON! USUALLY we respect whatever environment we’re in. We don’t jump on beds, stand on chairs, leave hair in the shower, etc. 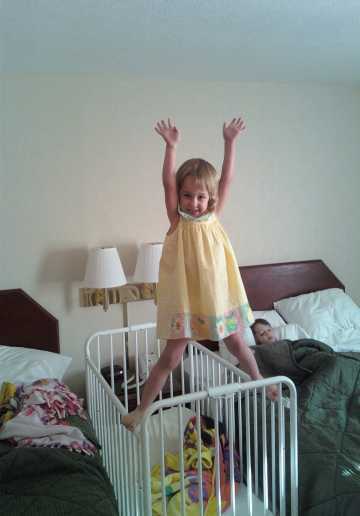 HOWEVER, during our last hotel experience Dallas demonstrated some crazy balancing skills that were so good I asked her to “do it again”… snapped a picture… and now it’s documented for future generations. Next > Does a pastor need a seminary degree?